RTV6 sat down this week with the President of Ivy Tech Dr. Sue Ellspermann who met with us at a robotics lab on campus. INDIANAPOLIS — Ivy Tech is in the middle of helping Hoosiers get the skills they need to fill the jobs in the five areas with the greatest demands including Building/Construction, Advanced Manufacturing, Healthcare, Logistics, and IT. The university is offering dozens of courses ranging from 8 to 16 weeks to make programs accessible for people seeking to get ahead. She says businesses needing to fill 80,000 jobs statewide are clamoring for people with specific skills and certifications. “We can talk about the 80,000 jobs and out of those over 40,000 fit within the 100 credentials you can earn for free,” said Ellspermann. Dr. Ellspermann is also an advocate for encouraging people to seek credentials and certifications beyond a high school diploma. Ivy Tech supports efforts to make sure 60% of Hoosiers have more than a diploma by the year 2025. Indiana’s level is currently in the mid-40’s. "If you don't have a high school diploma or only have a high school diploma--you actually have lost wages over the last 40 years since 1980. You have lost 25 percent or more of your earning power. In real dollars, you are making 25% less than in 1980 that's not acceptable. We know that most jobs will require some kind of post-secondary degree credential--that doesn't mean a masters or a PHd, that means a short term certificate, a certification, an Associate's degree or a bachelor's degree. You have to understand that's what a job will require." 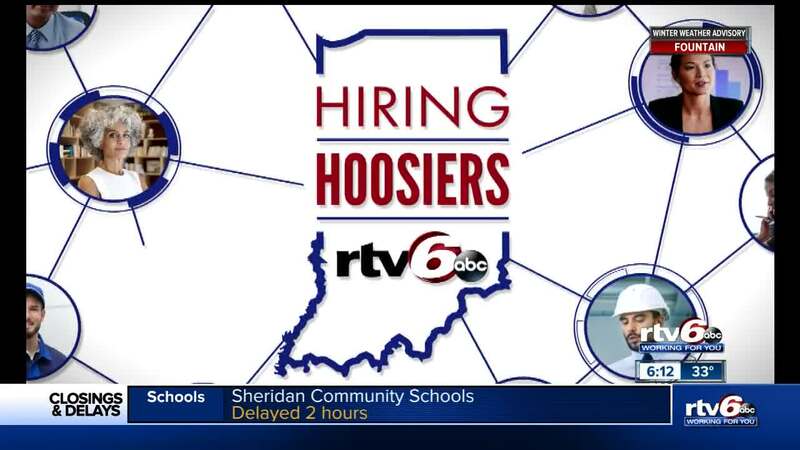 Beyond Ivy Tech, Vinceness University and C-9 in Greenwood are places state grants can be used to get training for the jobs in greatest demand.